The lens inside the eye is normally clear, up until middle age. At that time the lens loses its clarity and begins to yellow, eventually forming CATARACTS. In the early stages, cataracts do not affect vision and surprisingly, the strength of the glasses can actually improve. As the cataract becomes denser, ones vision begins to deteriorate, at which point glasses no longer do the trick and surgery needs to be considered. Once the cataract is surgically removed a clear lens implant (IOL) is put in place, and new glasses need to be prescribed. Ask your surgeon about Aspheric implants, Restore bifocal lens and Crystalens accommodating implants. 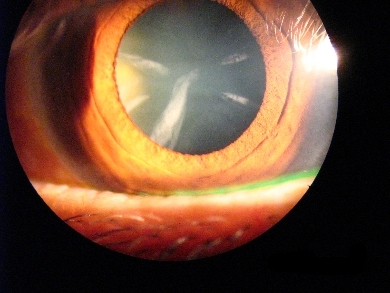 As with any type of surgery, there are significant risks in cataract surgery. 4.	caffeine in coffee, red wine, fish, green tea.